Let's just start by saying Row 66 is one of the prettiest salons I've ever been into. When I sat down to talk to the lovely Rowan (Hairdresser, law graduate, business owner and all round #girlboss) I felt totally at home. Rowan is an amazingly skilled hairdresser who specialises in extensions and is also professionally trained in LVL lashes. 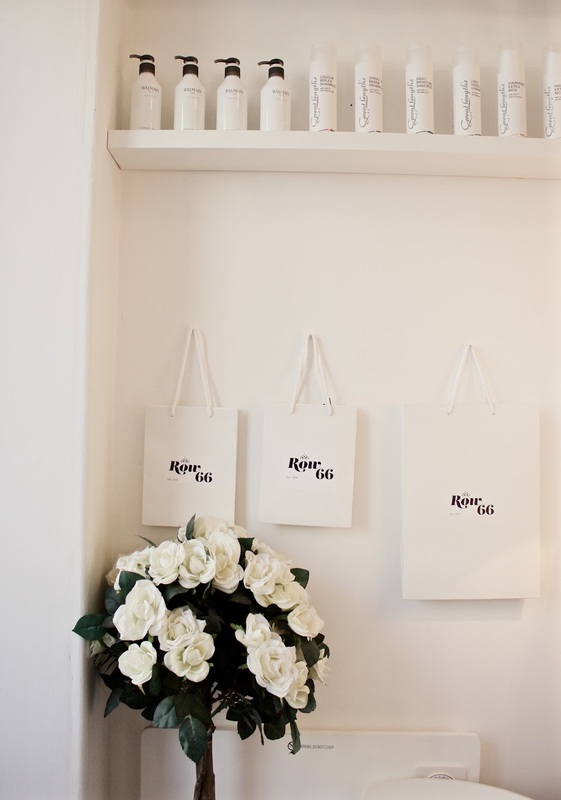 I went into the salon a few weeks ago to try out the fantastic LVL lashes and had a chat meet Rowan personally to talk everything from lashes to starting up your own business. After studying Business and Law in Edinburgh, Rowan knew she didn't want to move home to Aberdeen despite many of her friends moving home after graduating. 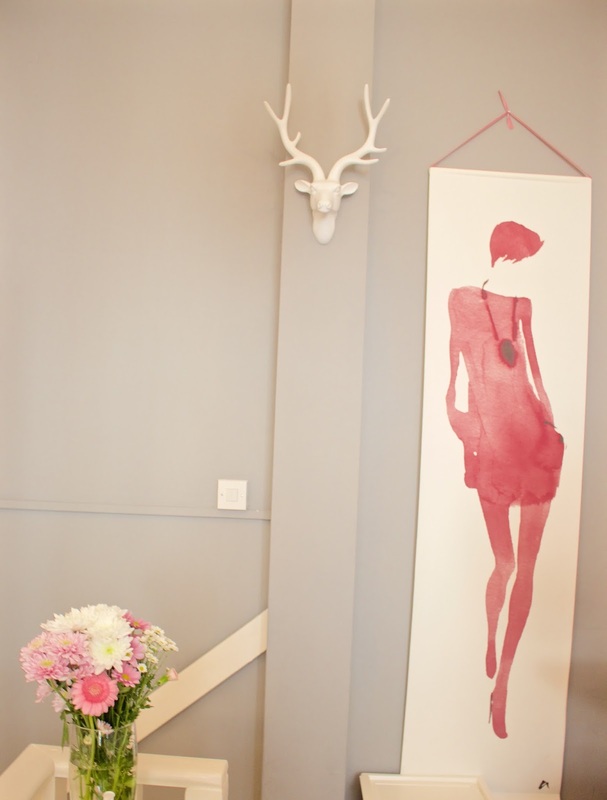 She felt a bond with Edinburgh and knew it was the place she wanted to set up not only her home, but her business too. Rowan has an insanely good reputation in Edinburgh for her extensions service and from her Facebook page it's easy to see from the raving 5 star reviews and glowing reputation, I knew she was the go-to girl for fabulous hair. A common subject when talking to young business owners is that grafting and working hard is the only way to get to where you want to be. Rowan is no different. 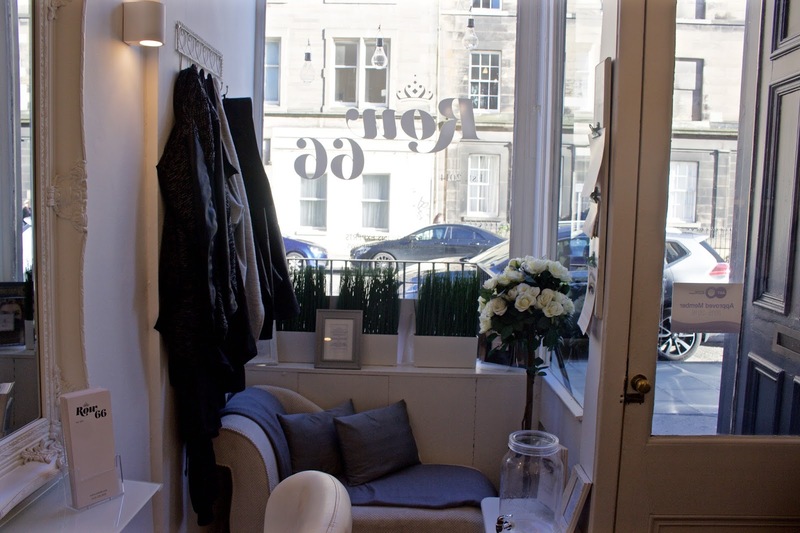 She went from mobile hairdressing to then renting a chair in salons in various parts around Edinburgh she finally settled in Stockbridge after falling in love with the area and decided this is where she would set-up shop. What I found most impressive about Rowan is that she set her shop up with no help but her DIY savvy fiancé. 'I was in Ibiza when I first saw the shop and my boyfriend was there working away and sending me photos. I was in Amnesia and he was painting the walls. When I finally saw it, it was a huge transformation because the shop was just an office before. It really was hard work to get it how I wanted it but it was so worth it'. Rowan isn't just a skilled and creative hairdresser she is also a really warm, genuinely friendly and super intelligent woman. 'My law degree has been completely invaluable in helping me build my business up. Some people really underestimate me and treat me as silly hairdresser; maybe because I am smaller and look a little younger than I am. There is a bit of a stereotype with being a hairdresser, people will try and take advantage but they are pretty shocked when I've recited law to them when they have tried anything'. From re-writing contracts to working 7 days a week Rowan is a forced to be reckoned with. She trained with Great Lengths and describes these courses as fundamental in educating her in hair extensions. 'Great Lengths are a fantastic company and I think it is so important to make sure you keep up with training and learning. Training other hairdressers is definitely something I would love to go into in the future too. It's so important that you learn how to assess your clients eye shape or hair type in order to provide them with the best results you can. Some clients want the longest lashes with the biggest curl but if their brow bone doesn't allow for that then it can't be done. I prefer a more natural look but it isn't always what your client wants. A conversation to manage clients expectations before is so important so you get the best results'. 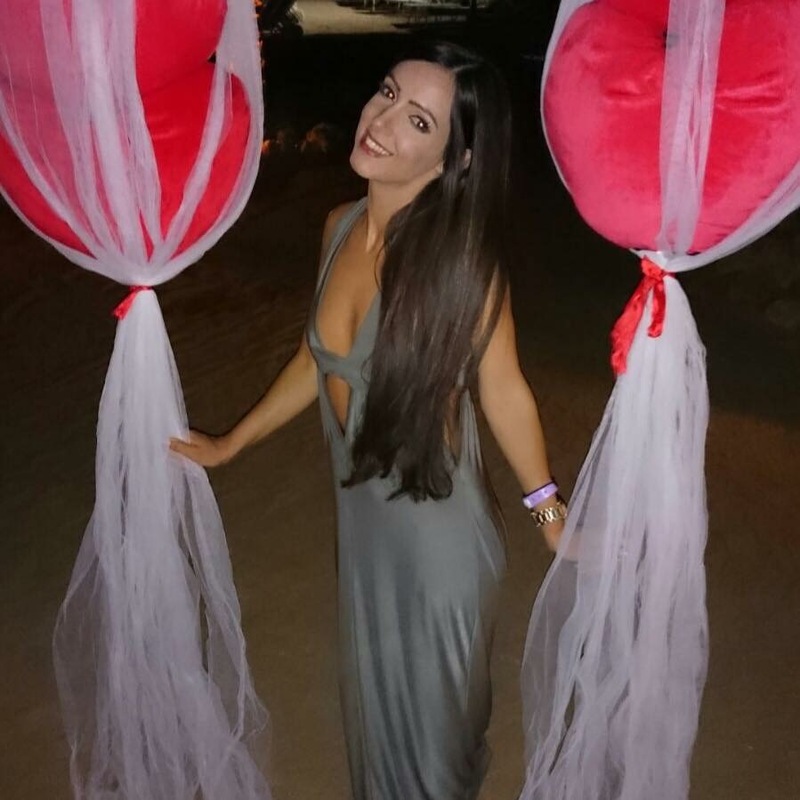 Rowan has the most glossy long, dark hair that looks in perfect condition. She has been wearing extensions since she was eighteen and feels like it's now part of her identity. 'I cut my hair really short when I was about fourteen and I hated it. Ever since then I have had really long hair. Hair is really important to people I think it gives you a lot of confidence when you know it is at it's best. I love seeing the transformation when I do extensions, especially with people who have issues with hair. The difference it can make to their lives is amazing, and I love knowing I have made someone feel great about themselves'. To finish my amazing and inspiring chat with Rowan I asked her what the most important thing she had learnt setting up her own business. 'It is really important in life to stay positive as things aren't always easy. You need to be quite resilient and you need to truly believe you can achieve the goals you have set out for yourself. This is not the end of what I want to achieve and I think it's really important to have clear goals to keep working towards and to always keep striving for more. Things will inevitably in any business get you down at times but it's all about picking yourself up and carrying out despite everything'. I was lucky enough to have LVL lashes done by Rowan herself and honestly I can't recommend them more. I think you can see yourself from the photo that they really make such a difference especially as I am so fair. I had these done around a month ago and they still look fantastic. It saves me so much time in the morning when I'm working super early. My eyes are really sensitive and you need to keep your eye closed the entire time which can be difficult but Rowan was very understanding and reassured me despite my watery eyes I would get an amazing result on my lashes. 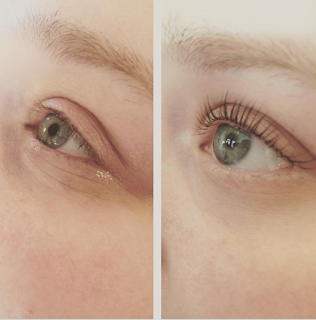 The LVL lash lift takes around an hour and a half which I loved because I just got to relax and chat to Rowan. The lift lasts from 6 to 8 weeks with great aftercare. Rowan is super informative and made sure I was well equipped to get the best out of my lashes. I would advise keeping your lashes dry for as long as possible afterwards, I avoided water around my eyes for just over two days and my lashes have lasted beautifully. 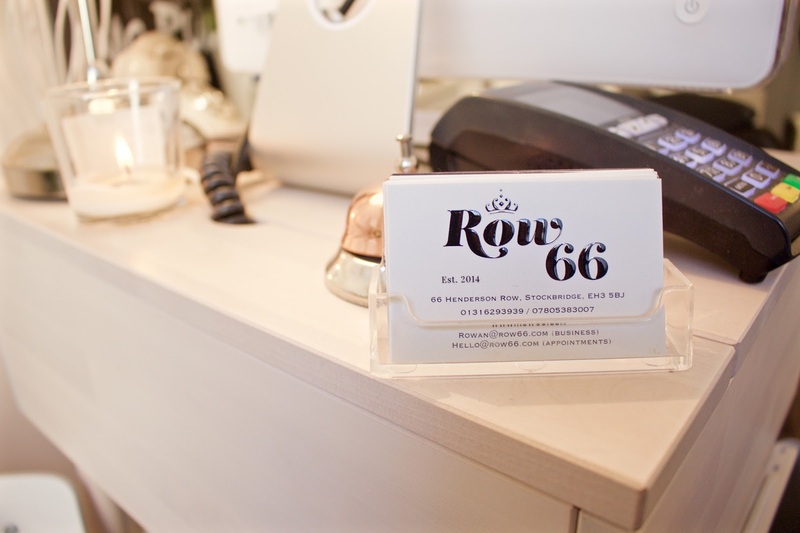 If you are looking for an amazing salon in Edinburgh or the Stockbridge area that offers a variety of amazing services look no further than Row 66!